Prof. Mario Monteiro is among 75 nominees for RBC’s Top 25 Immigrant Awards. Guelph Today reported that Monteiro is considered one of the world’s most influential vaccine researchers. 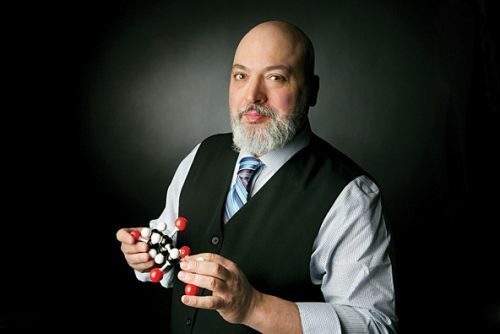 A professor in U of G’s Department of Chemistry, Monteiro told Guelph Today that he was surprised by the nomination and was pleased to be recognized. Monteiro immigrated to Canada from Portugal in 1981 and entered Grade 9 without knowing much about opportunities for post-secondary education and careers. He said: “You have to believe in yourself. You can’t let the system dictate what you can and cannot do.” He said he likes to share stories about his journey with his students at U of G.
Monteiro has identified key molecules that prevent bacterial infections responsible for deadly diarrhea in humans. He has developed a vaccine that targets surface molecules on C. difficile to control infection and colonization levels. The first vaccine he developed targets Campylobacter infections and was the first to show 100-per-cent efficacy. Voting for RBC’s Top 25 Immigrant Awards ends May 17.